Isolated places in mid and higher hills of Himachal Pradesh are likely to receive heavy snowfall as an upper air cyclonic circulation has moved east-northeastwardsacrossthe neighbouring Jammu and Kashmir. The state’s higher reaches in tribal areas and other higher hills are experiencing intermittent light snowfall since last night. “Heavy snowfall is likely to occur at isolated places in mid and higher hills while thundery conditions would prevailin the state capital Shimla under heavily overcast sky,” MeToffice said today. 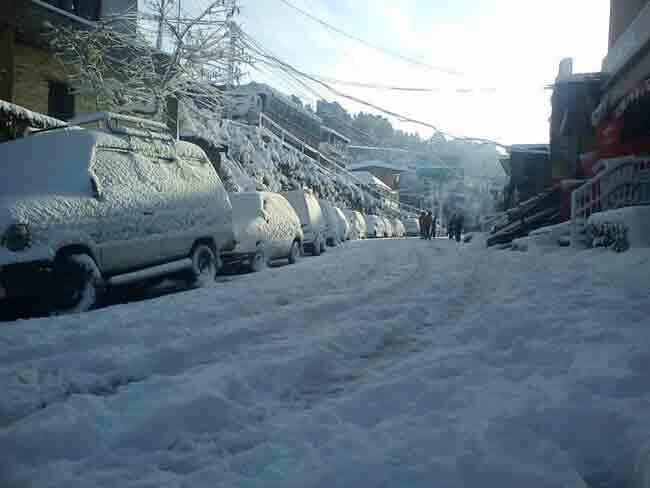 Keylong in Lahaul and Spiti recorded 6 cm of snow while the Rohtang pass had 10 cm of snow till this morning. Kalpa in Kinnaur district, Kothi, Pin valley and other high mountain passes are having an another spell of snowfall, breaking the prolongeddry spell. Bharmaur and Manali received 5 mm and 3 mm of rains respectively wile Saluni in Chamba district witnessed 2 mm of rain. Five mm rainsand widespread rains are expected in mid and lower hills. The minimum temperatures rose marginally and Keylong and Kalpa recorded a low of minus 1.4 degrees Celsiusand minus 1.0 degrees Celsius respectively, while Manali recorded minimum temperature at 4.0 degrees Celsius, followed by Sundernagar 4.8 degrees Celsius, Shimla 5.0 degrees Celsius and Dharamsala 9.2 degrees Celsius. Meanwhile, the National Championship in figure and speed Ice Skating, that was scheduled to he held at Shimla Ice Skatingrink from from January 3 to January 7, has been deferred and the venue has been shifted to Gurgaon. “The thick coating of ice, which is essential for ice skating, was missing due to inclement weather and now theChampionship would be held for two days at Gurgaon,” secretary, Shimla Ice Skatingclub, Bhuvnesh Banga said.